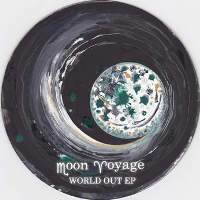 Expect Moon Voyage‘s World Out to tear your heart apart. Featuring six songs, each one is an experimentation of the band’s guitar prowess. Listen as they change the flair and texture of each string to let each emotion blossom. Welcoming our ears is After This, which has a powerful introduction and a curious combination of mystique vocals and the electro melodies. The song is unpredictably beautiful, as each rhythm surprises you with varying electro pop tempo. The performance of the drums, even though minimal, is significant as it adds edge to this dreamy track. In Lost in Love, the group exemplifies firmer and stronger vocals with slower electro tunes. The fluttering piano keys adds a touch of drama and romance to the track. The song features a great partnership between vocals and melody, creating a well-harmonized piece that’s easily digestible. Get an energy boost with Black Balloon. The song maintains the band’s mystifying vocals while adding a bit of jazzy flair. Unlike the other tracks, the execution of electro here is riskier and more experimental. Heart-wrenching it might be, World Out is a perfect accompaniment while chilling out or having a late-night drink.